Below are some of my notes from a workshop on the subject of preparing for the academic job market. Dr. Elizabeth Jameson led the workshop, which took place on February 18th at the Center for Great Plains Studies. This is the second formal workshop I’ve attended on preparing for the academic job market, but I learn something new each time. It’s encouraging to see that conversations about the difficulties of the current job market are becoming more commonplace in academia, and that the newest generation of humanities graduate students are being prepared–from the very beginning of their academic careers–to consider the different trajectories their training can take them. I found the advice related to networking and organizing to be the most useful and inspiring. 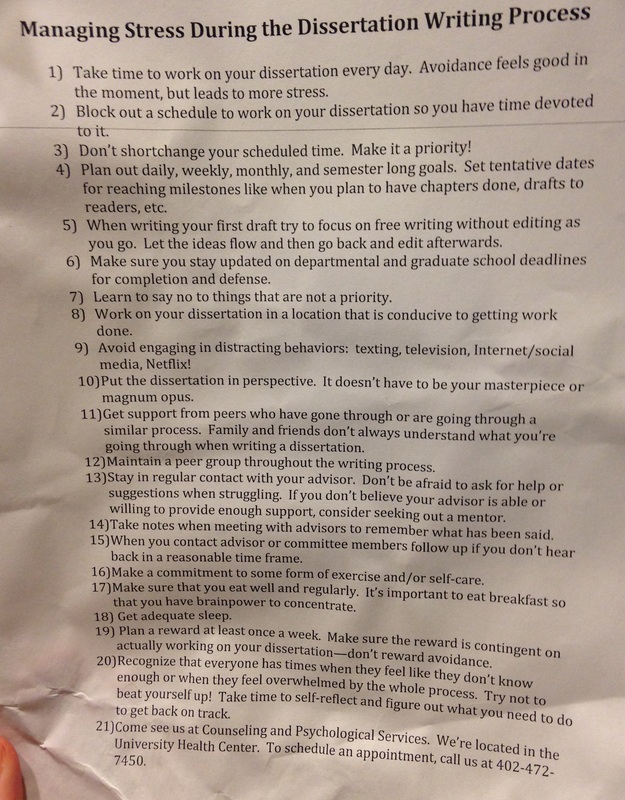 Nearly a year ago I attended a workshop on maintaining healthy habits throughout the dissertation writing process. Boy am I glad I did. This fall I’m taking time off from teaching to focus solely on writing my dissertation–oh, annnnnnd applying for jobs. Fun stuff. It’s all writing-based, deadline-oriented and, at times, pretty stressful. So I’ve found myself putting some of the tips from the workshop into practice each day. Recognizing the dissertation writing process as stress laden. Once I get into the groove of writing I actually find it quite fun and satisfying. But the writing process contains both hills and valleys. Recognizing this as I begin each day is key to sticking to the task at hand without getting discouraged. 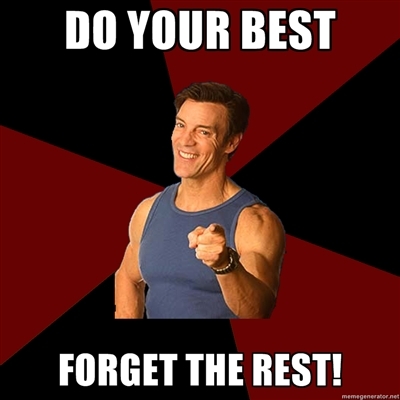 As long as I work to the best of my ability each day, I know I’ll meet my goals and everything will be “okay.” P90X leader Tony Horton’s mantra ain’t no joke: “Do your best and forget the rest.” Worrying only hinders your work. Let it go as best you can each time you sit down to work. Get support. For me this includes not only keeping family appraised of my work schedule so they don’t wig out because they haven’t seen me in a while and think maybe my husband murdered me (he wouldn’t); it also includes seeking out support and advice from others who know what the writing process is all about. Like many Twitterstorians, I am fond of using #writingpact and #TeamPhinisheD. Although, for privacy reasons, I don’t use the hashtags every time I sit down to work, they are wonderful options for maintaining accountability for daily goals and for both getting and giving support during the somewhat lonesome writing process. Tips 16-19. For me, this set of tips is on equal ground with tips 1-4 because tips 1-4 aren’t possible to achieve without holding yourself to tips 16-19. In the current culture of overwork self-care all too often falls to the wayside. 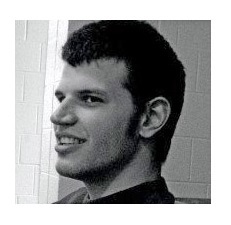 While I was completing my master’s thesis, I was simultaneously struggling with a tragic, untimely death in my family, many late-night/early morning phone calls to help family members through the difficult time, and feelings of not being understood/not belonging/not being accepted into academic culture based on my first-generation, low-income background. I had few healthy work habits and came very close to full-on burnout. Since then, self-care has become a high priority as I complete my PhD. I’ve worked hard to develop a wide variety of healthy habits to keep my history mojo flowing sure and steady. A well-defined work schedule IS critical, but it won’t get you anywhere if you’re too weak and stressed out to think. Self-care isn’t a distraction from writing or something only the uncommitted do. Self-care enhances your ability to do your best. Plus, massages, runner-highs, ice cream, and beer are awesome. 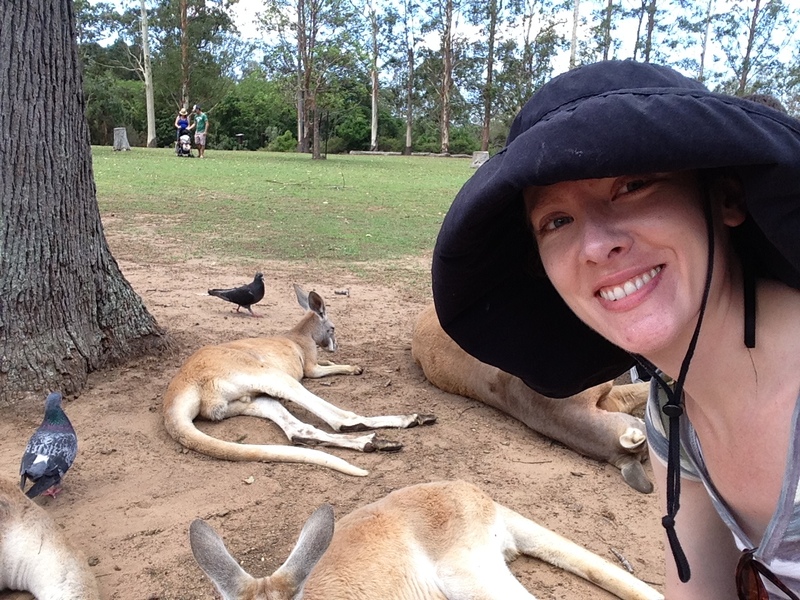 Dopey hat required at all times to protect my extremely pale skin from the tropical clime. I also did research while down under, I promise. I also taught a class, History of the U.S. Present, my second course, in the Spring. I’ll admit I lose focus on blogging while teaching. Potential post topics don’t seem to percolate as easily, and the idea of blogging on what I’m learning about teaching while teaching makes me a little uncomfortable. Perhaps there’s a blog post there somewhere. At any rate I’m back, working on the introduction to my dissertation with the help of #writingpact and weekly writing support meetings with my #TeamPhinisheD teammates. And to begin my return to regular blogging I offer you the below highlights from three sessions I attended at the 2015 Innovation in Pedagogy and Technology Symposium, which was held in May here in Lincoln, Nebraska. This first panel gave me a lot to think about when it comes to utilizing blogs in both online and traditional courses. I’ve used blogs quite successfully in past courses to promote the development and improvement of student writing via iterative, brief (250-word) posts with formal writing standards and citations. Dr. Jones’ guiding principles (below) were especially helpful, and offer additional strategies to increase student engagement with course content and objectives. I especially like her idea of student-produced short videos on an independent reading relevant to the course topics. This panel was the last one I attended at the symposium, but it really got my creative juices going. Ms. Haggar not only introduced a wide variety of digital tools with pedagogical potential; she also offered examples of ways each tool can be used to support established principles of good teaching practice. Many of the tools listed (in my notes below) were new to me, while some were tools or platforms I was familiar with but unaware of certain features. I will definitely be experimenting with a few of these tools in future courses.